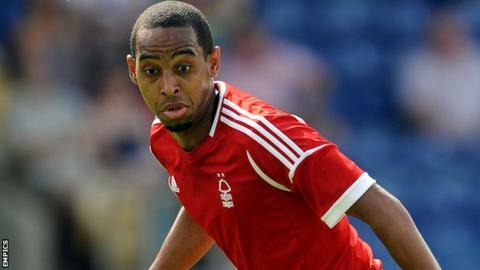 Nottingham Forest striker Dexter Blackstock has been handed a suspended three-month ban and fined by the Football Association after admitting to multiple breaches of betting rules. Blackstock, 27, was fined £60,000 and will serve the ban if he breaks betting rules again before 31 May 2016. He was charged under FA Rule E8 for misconduct in relation to betting. Blackstock only played three times for Forest this term before joining Leeds United on loan in October. But he was then ruled out for the rest of the season with a knee injury in December.